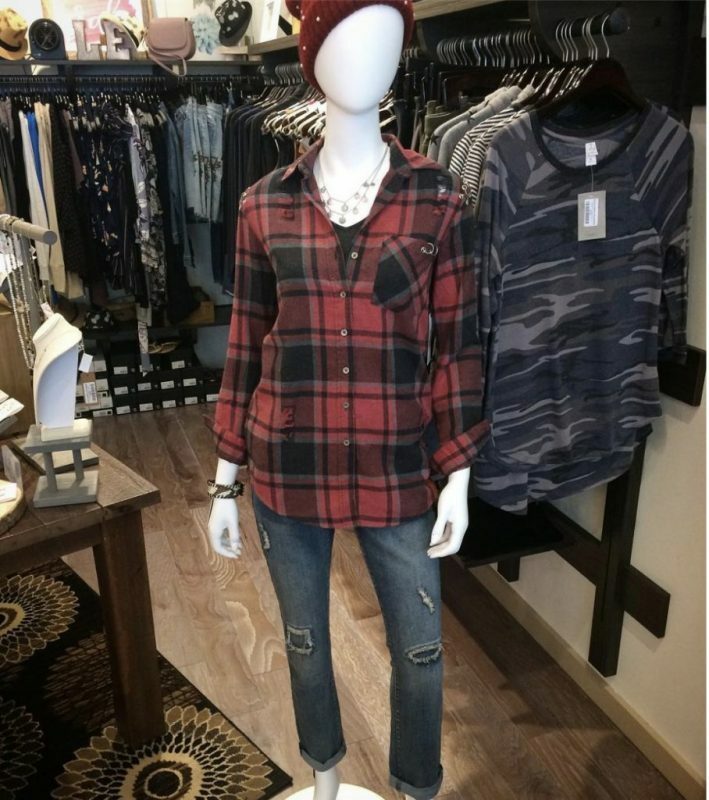 Plaid is a staple in any fall wardrobe, and we cannot get enough of this black and red plaid top by Dex Clothing. This fresh take on the plaid top is distressed to embrace the retro-90s trend for a nostalgic grunge look. Embrace your inner rock star by pairing it with some distressed jeans to complete your outfit. Looking for a can’t-miss top layer for your wardrobe? We’re crazy about this soft poncho from Astar Womens. The cut is classic, but the texture adds some extra uniqueness to your fall wardrobe. To top it off, the color is very in vogue right now and is sure to transition well into the winter and spring, making this a long-term look. You can’t go into autumn without a few classic fall sweaters. Still, we aren’t quite ready to say goodbye to some of the beautiful rose and light pink tones we loved in spring and summer. That’s why we’re all about this Tribal Fashion sweater for its beautiful marled fabric on top of the exquisite lace and side details. Pairing it with jeans gives you an effortless look that’s both comfortable and on-trend.